“Lest we forget” is the theme at Washi Candle Garden, which is held on the seventh anniversary of the 2011 Tohoku earthquake. 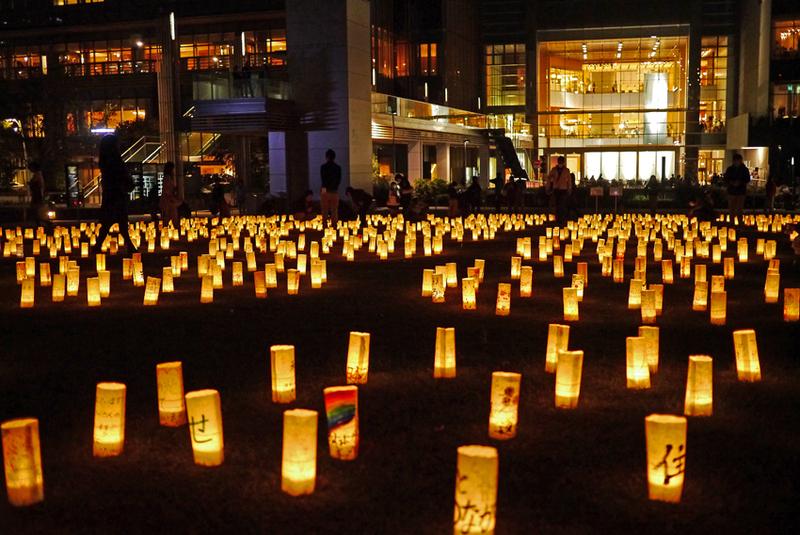 Messages from 2500 people in Tohoku are inscribed on hand-made paper lanterns and put on display, illuminating the Midtown Garden in a solemn yet warm shade of amber. Visitors can write their own messages and prayers for the fast recovery of the Tohoku area. Held in the Tokyo Midtown Garden.